Flying foxes are under threat from climate change, habitat loss, and now ... Australia's Environment Minister. Australia's fruit bats (aka flying foxes) are doing it tough. Some species have declined by 95% in the last century — with further decline predicted. 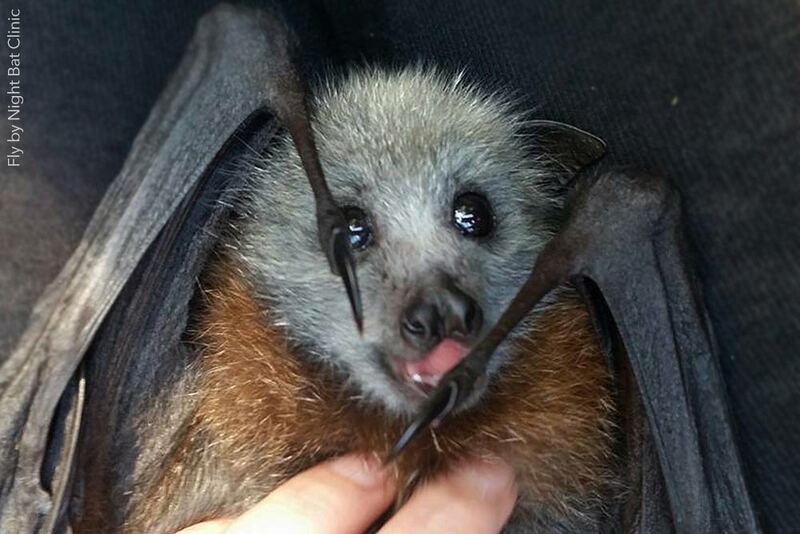 These sensitive animals are particularly susceptible to heat, and unforgiving Aussie summers have led to mass-deaths of fruit bats, including babies that are especially vulnerable during heat events. But despite being listed as a 'threatened species', and entire populations facing increased threat to their existence, the country's former Environment Minister, Greg Hunt, removed what little protection they had under the Environmental Protection and Biodiversity Conservation Act (EPBC). The Minister allowed a fast-tracked approval to shift a flying fox ‘camp’ in Bateman’s Bay in NSW – against scientific advice. This decision not only left these animals even more vulnerable to distressing 'control' measures, but set a dangerous precedent — removing the only legal process to shield their crucial roosting habitats from disturbance and destruction. 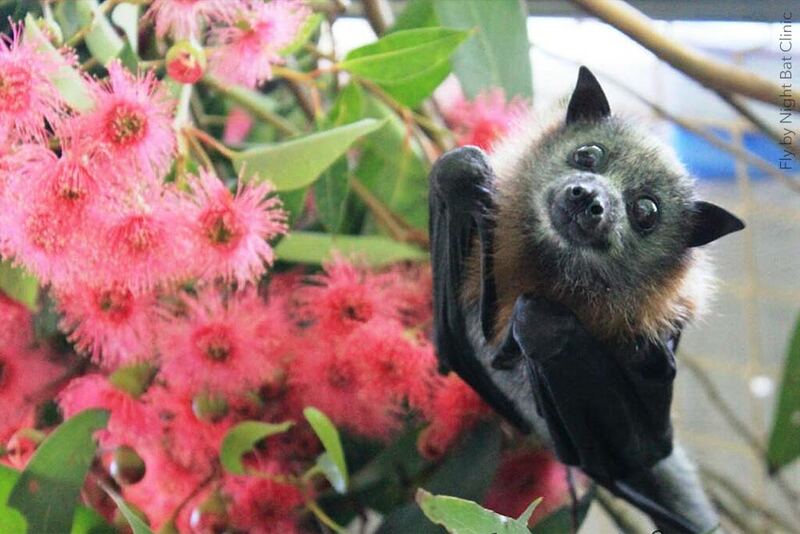 Flying foxes are not only remarkable (not to mention adorable) little creatures — they're vital to our environment. Without them, entire ecosystems could collapse. These native 'gardeners of the sky' help regenerate our forests and keep ecosystems healthy through pollination and seed dispersal. They are a migratory and nomadic 'keystone' species; meaning a species that many other species of plants and animals rely upon for their survival and well-being. Flying foxes, like bees, help drive biodiversity, and faced with the threat of climate change, land clearing, and other human-caused ecological pressures, we need them now more than ever. Do those big brown eyes and that little wet nose remind you of anyone? Wildlife carers who spend countless hours with these little creatures describe them as highly affectionate, intelligent, full of personality, playful — and very endearing. They enjoy cuddles, ear massages and tummy rubs, and babies — called pups — thrive on contact and affection from their human carers. For many species of wildlife, every day in the Australian wilderness presents another challenge, and with weather extremes predicted to get worse, the struggle to survive is going to get tougher. Flying foxes are particularly susceptible to the heat, and every scorching summer will see countless bats die from heat stress. As if that weren't bad enough — land clearing, shooting, and backyard fruit tree netting continues to cause untold suffering and death in many parts of Australia. 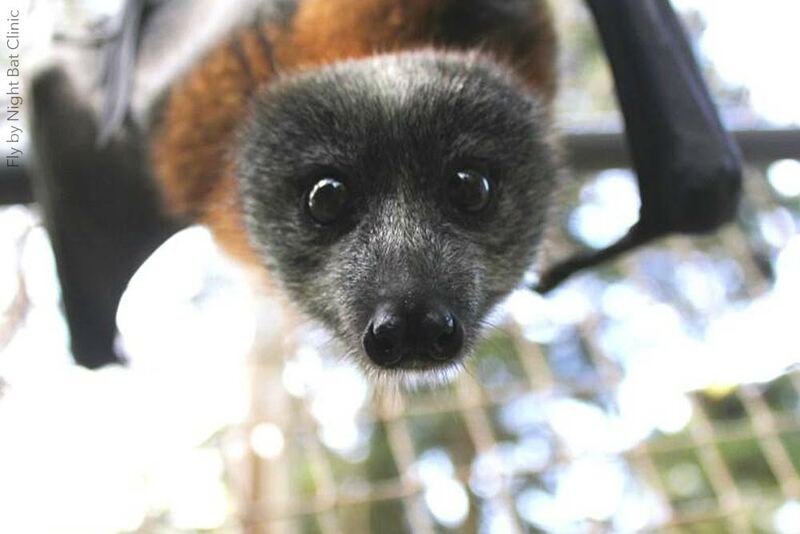 There are four mainland species of flying fox: Black, Grey headed, Spectacled and Little Red. 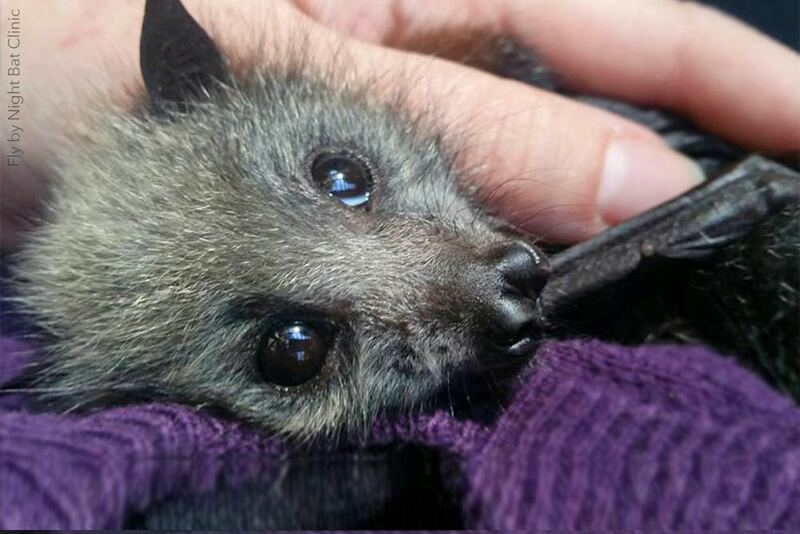 Tragically, populations of flying foxes across Queensland, NSW and Victoria are in decline. Both the Grey-headed flying fox and Spectacled flying fox have declined by at least 95% in the past century, with massive losses in the past 30 years. Some researchers believe they could be functionally extinct by 2050. Like many native animals, flying foxes' greatest threat is habitat loss. They fly by night in search of food, and return to the same trees each day to rest and chatter with their colony-mates. Flying foxes primarily migrate along the East coast of Australia — moving in entire camps or colonies as native food comes into season. They have done this for thousands of years — but over time, these colonies are being surrounded by human development, with locals complaining of the noise and smell, and netting their trees. Sadly, flying foxes are no match for developers, or councils responding to angered communities. The result: colonies are targeted for shooting — which is not only cruel, but totally ineffective. Many animals who are shot are only wounded, and slowly die over days from infection and dehydration. The situation is compounded when this is a female with a pup on board. The result is often that she and her baby perish slowly. Flying foxes are essentially providing a community service. Other native animals and plants are reliant on them for their existence — they are keeping Australian native forests and its inhabitants alive! For their invaluable work, these native animals are treated disdain by some councils and politicians who employ poor and unscientific management schemes — such as lethal control or dispersal of colonies or camps — that not only do nothing to restore the balance between humans and wildlife, but can perpetuate misinformation and ignorance about these animals. What is really needed here is compassion and understanding. 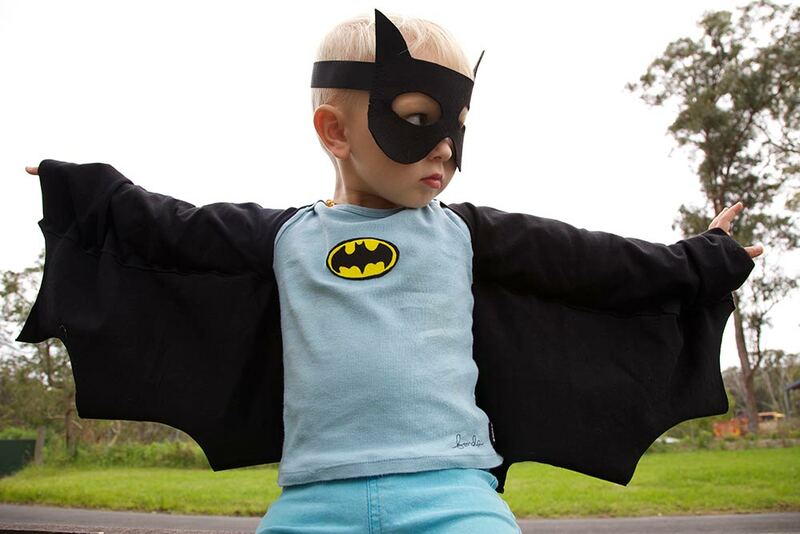 You don't need a cape or mask to be a superhero to bats (but if that's your thing, go for it). Here are three simple things you can do to protect these unique native animals from cruelty — and help them get back to looking after our precious ecosystems. Spread the word. Most people know very little about flying foxes, so help inform your friends and family by sharing this post, and encouraging understanding and tolerance of these unique native animals. Consider sharing your backyard fruit with wildlife and avoid using fruit tree netting in your garden. If you must, be sure that it’s wildlife ‘safe’ – with holes that you can’t poke a finger through. Most calls about flying foxes to wildlife rescuers involve animals who have become tangled in unsafe netting on fruit trees — often resulting in injury and even death. Netting that's safer for native animals is available at all good nurseries as well as at Bunnings. Write to the Federal Environment Minister, Melissa Price at and urge her to help protect these native animals — who are already vulnerable to extinction due to habitat destruction -- rather than make their existence even more difficult. 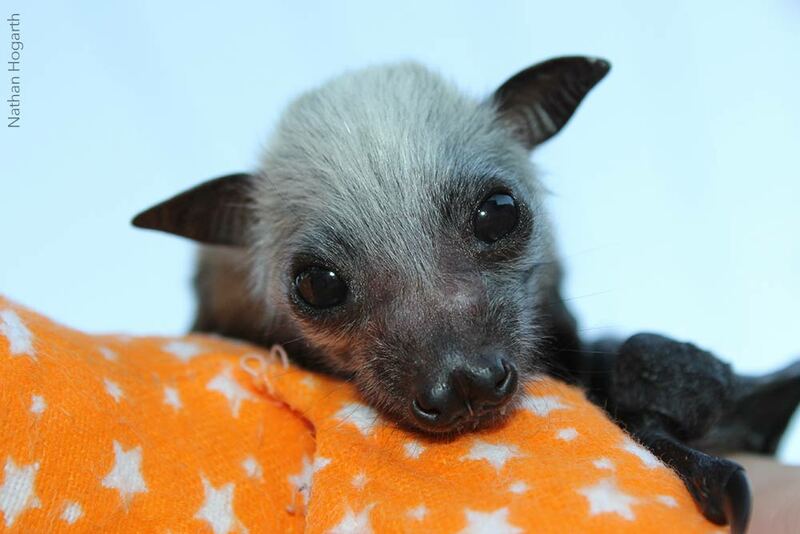 Be on the lookout for distressed flying foxes during hot weather -- these sensitive animals, especially babies, struggle to cope in the heat and often require specialised intervention from trained wildlife carers. NEVER handle flying foxes yourself — ALWAYS call your local wildlife carer if you spot a flying fox in distress and follow their advice. Koalas are being bulldozed in Queensland. Here's how YOU can help save them! Protect marine animals: Say 'NO' to plastic bags! 5 reasons to combat global warming — for the animals. Wildlife caring: The good, the bad and the cuddly.